Here we go folks, the next generation Huawei MateBook is available for pre-order in the U.S. If you’ve never used a Huawei device before, the ones we’ve used, we’ve loved. 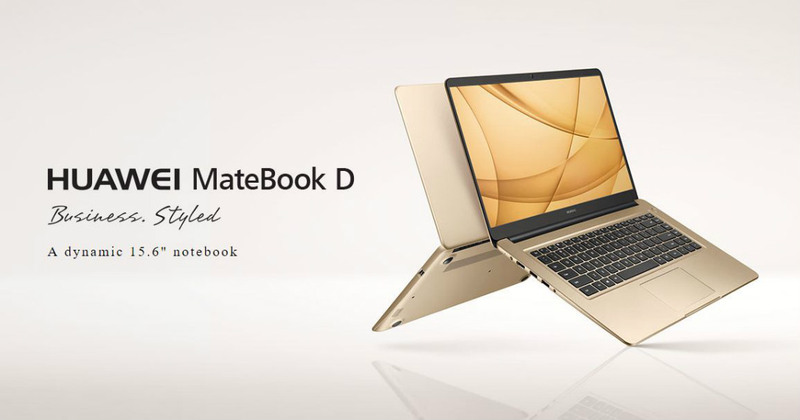 The company takes pride in making quality products and it looks like the next generation MateBook is no exception. The new device will come in three different SKU’s each getting more powerful than the previous one. 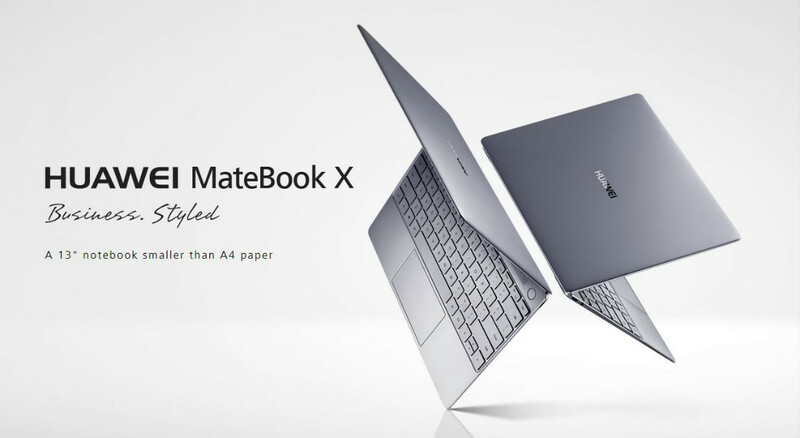 The MateBook D is the entry level version priced at $699.99USD followed by the E starting at $799.99USD and finally the X starting at $1099.99USD. The device appears to be crazy thin with some very slim bezels and a top notch build quality. Processors for these devices run from the 7th generation Intel Core m3 up to the Core i7. There will be a few different colors available but not all models will get these colors, Space Gray, Prestige Gold, Titanium Gray, and Champagne Gold. Pre-orders for all three version started on June 30th via Amazon and Newegg. Read the full press release below for more details. What do you think of Huawei’s new PCs? Let us know in the comment section below, or on Google+, Twitter, or Facebook. HUAWEI MateBook PCs Now Available for Pre-Order in the U.S.
PLANO, Texas – June 29, 2017 – Huawei Device USA today announced that its next generation MateBook PCs will be available for pre-order in the U.S. beginning Friday, June 30 on Amazon.com and Newegg.com. The HUAWEI MateBook X, HUAWEI MateBook E and HUAWEI MateBook D bridge mobility and personal computing by giving customers one device that can do everything. The highly-rated and reviewed PCs have been applauded by media for their premium style, quality, and performance. As the third largest smartphone brand in the world, Huawei brings its industry-leading expertise in the fields of mobility, design, and engineering to the next generation MateBooks. 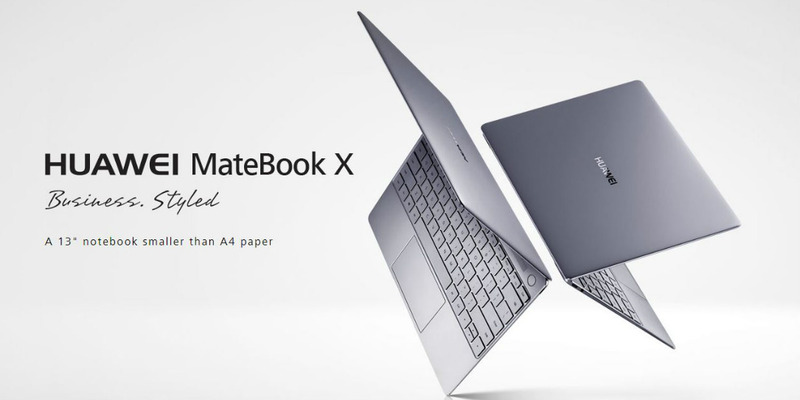 HUAWEI MateBook X is the world’s first 13-inch fanless laptop at just 12.5-mm thick and 2.31 lbs., combining premium style, quality, and performance. Featuring an unprecedented 88 percent screen-to-body ratio, 4.4-mm narrow bezels and 3:2 aspect ratio, the MateBook X gives consumers the ultimate mobile PC experience. The elegant metallic unibody comes in two colors, Prestige Gold and Space Gray. 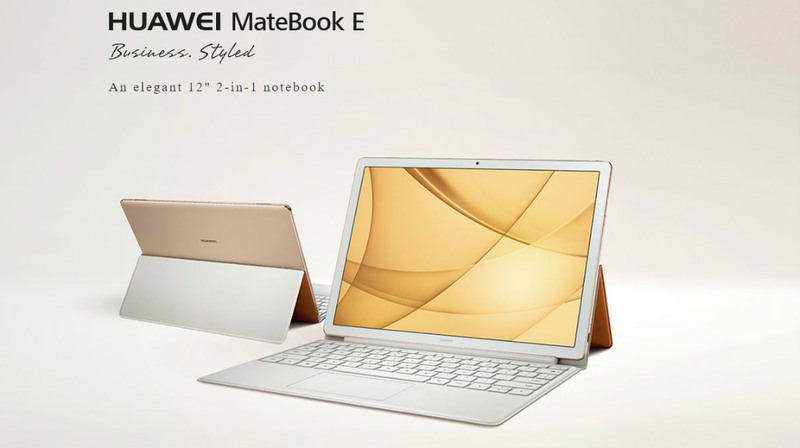 HUAWEI MateBook E is a 2-in-1 device made of high-quality aluminum with advanced CNC diamond-cut finishing, providing a comfortable hold. At just 6.9-mm thick and a little over a pound, the MateBook E is thin and lightweight so you can take it with you wherever you go. With a 2K display touchscreen and a full-size chiclet keyboard, the MateBook E supports a lifestyle that quickly moves between work and play. The tablet is available in Titanium Gray with a blue Folio Keyboard as well as Champagne Gold with a brown Folio Keyboard.